Holistic learning in early childhood: What difference does it make? As the mother of a toddler, I want to make sure I’m doing everything I can to prepare him for kinder, school and, well, life! So, I try to factor in veg with every meal, lots of trips to the park, music classes and craft (OK, the craft is a stretch – he has playdough) because I know how important these early years are for development. As parents, we also want to feel confident that if we’re using early childhood education, our little ones are in good hands. I’d heard the term ‘holistic learning’ used a lot when describing early childhood services but, honestly, I didn’t know what that meant, or why it mattered. So I asked Emma Forbes, Head of Education and Curriculum at Only About Children (Oac), to shed a light on the philosophy of holistic learning for me and what it looks like in practice at Oac Early Learning and Preschools in Sydney and Melbourne. When a high-quality curriculum is delivered considering all of these elements, it not only prepares children for further education but for life, according to Emma. This all sounds pretty good to me – but there’s a lot more to it, as I found out. 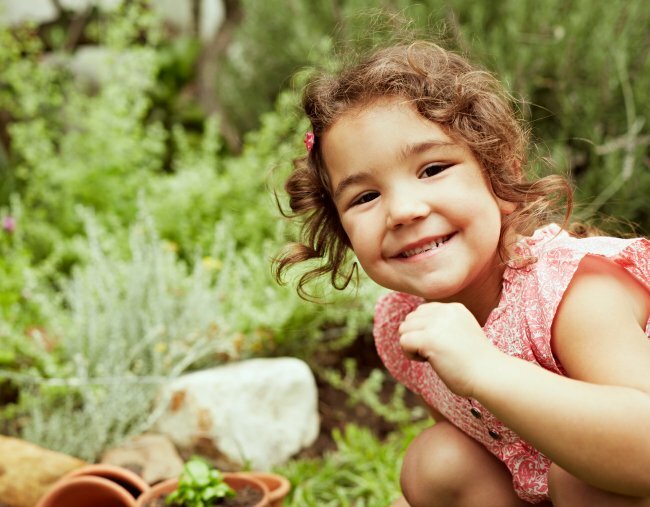 How does holistic learning prep kids for kinder and school? “Once upon a time, preparation for school was all about a checklist of academic skills after the child had reached a certain age and was typically determined as ready for school,” says Emma. But the focus has shifted. Now for a child to thrive and learn, education needs to look at the child as a whole to give the best possible start to life. Celebrating National Yoga Day across all of our campuses. ⠀⠀⠀⠀⠀⠀⠀⠀⠀ Yoga makes our children feel good inside and out. A fun and active way in helping children manage stress and anxiety as well as strengthen muscles during the crucial developmental years. Emma explains the findings of recent research into early childhood education. According to Emma, when an early childhood educator intentionally takes the approach that all learning is “holistic and interconnected, it can have hugely beneficial results”. This means that when educators recognise that learning happens in every moment of the day, through routines, physical activity and small group experiences, it can have a significant impact on a child’s total development. Oac use the primary educator small group approach, along with regular conversation with families, to get to know each child individually, to build a curriculum which will support their needs. What does a typical day look like for a child at an Oac campus? A typical day would obviously differ based on whether they’re a baby, toddler or in their foundational years. But some of Oac’s offerings include music, Spanish language activities, sustainability practices and physical activity programs. What do you consider when creating the learning environment? “The learning environment can encourage children to feel like they belong,” says Emma. Meaningful displays of learning at their eye level are important, as is creating an environment that encourages children to be challenged and take risks. Having items accessible at their level helps children make choices about play. “At Oac, we also look to create learning environments that are similar to the home environment. The best learning environments create a link between home and early learning through soft furnishings, home-like furniture and a calming, muted palette of colours,” Emma adds. “Nutrition is vital when working with the development of young children,” Emma explains. “We pride ourselves on an offering that supports each child’s individual dietary needs, is designed by paediatric dietitians and most importantly is delicious and full of things the children want to eat.” We all know how tricky this can be! Oac staff also use mealtime to educate children about the seasonality of produce and where it comes from. Media dietitians The Biting Truth design the menu – and as you can see, it’s full of goodness. What makes a centre like Only About Children different? The focus on a child’s wellbeing is a major factor – and that’s represented in the diverse range of staff employed. “We are lucky to have an in-house allied health team that works to help support children, educators and families across the organisation,” Emma explains. “This offering is unique to Oac. Our educators all have a passion for holistic education, for building positive and collaborative relationships with children, families and other educators. 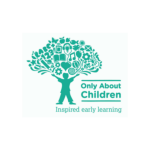 If you’d like to know more about holistic learning and Oac, visit their website.